To begin with, this book is supremely lovely. Of course, lots of books are lovely, and loveliness is not a particular criterion for Caldecott consideration. But let’s just put that out there. Parra’s figure work is warm and personal, simultaneously accessible and specific. His largely symmetrical composition affords the imagery some organizational clarity, making it especially easy on the eye (and enhancing the shape identification, to boot). But there is much to admire beyond the simple beauty. The color work is extraordinary. Parra sets vibrant reds and oranges against grayed-out blues and greens. The unexpected result, with its dramatic sense of light and shadow, enhances the sense of place. It feels like a hot day in the Mexican shade. The treatment of shapes is suitably sophisticated. Rhyming verse calls attention to one shape at a time, and while many of the shape in question are present for searching and finding, there are other shapes represented, too. And if ever there was a book jacket optimized to accept a golden circle sticker, this is it. I mean, really. Illustrating a picture book about a famous artist is no small thing. How does the illustrator capture the essence of the artist’s style without resorting to mimicry, expressing without copying? Jeanette Winter makes it look easy. 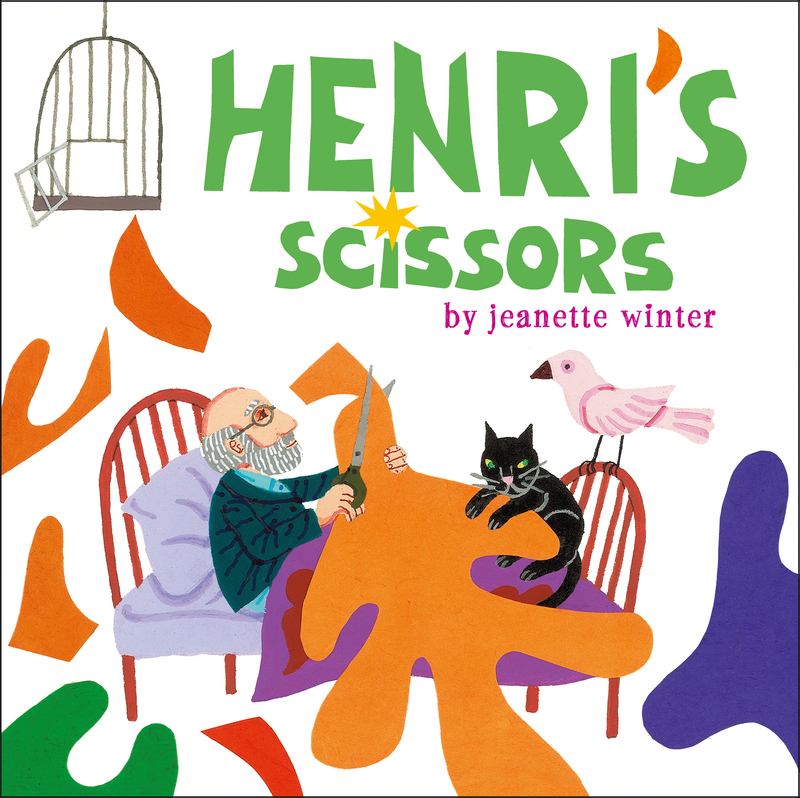 In this simple picture book biography of Henri Matisse she employs color to set Matisse’s artwork apart from its contextual environs, replicating the vibrant artwork with rich, saturated color and using a more reserved, pastel palette for the artist and his surroundings. She structures the story carefully, covering the first 70 years of his life in the first few pages and dedicating the balance of the book to the paper-cutting for which he is most celebrated today. Matisse made the technical discovery while recovering from a severe, debilitating illness, and Winter reflects its transformational power with a major compositional shift. The exposition unfolds with images in small, tight squares on a clean, buff ground. At the pivotal moment of discovery, when the artist finds his way to creation again, the images break across the entire spread, reaching beyond the edge of the page in expressive freedom. Most picture books contribute to the storytelling with representative imagery. Using the art itself to tell the story, in its structural design, adds layers of meaning to an already illuminating story. I’d call that excellence of pictorial interpretation of story, theme, or concept. Anyone out there excited about any 2013 American picture books? 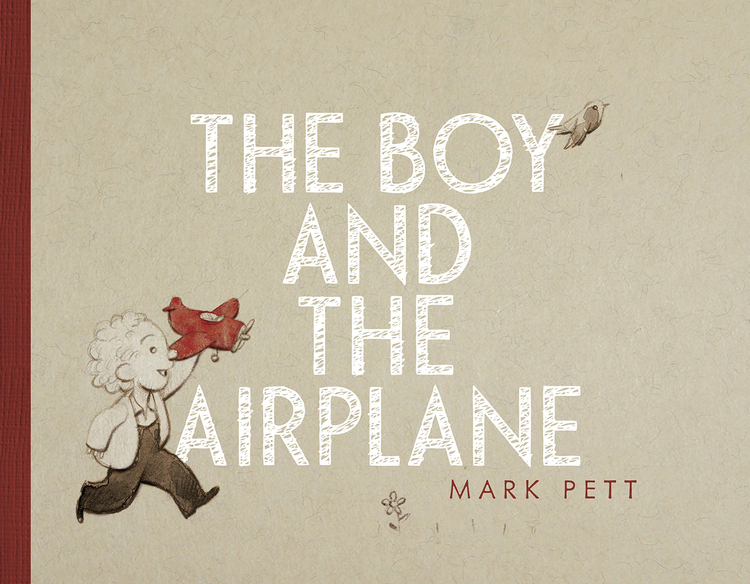 This wordless picture book is awash in poignant, sepia-toned nostalgia, so you know I’ll love it. A little boy receives a package (from an unidentified stranger – look carefully) and opens it to discover a red toy airplane. He plays and plays and plays, until the plane accidentally lands up on the roof, beyond his reach. Try as he might, he can’t get it down. So, he plants a seed. Year by year a great tree grows. The boy grows, too, becoming a young man and, eventually, an old, Santa-Claus-looking one. At last, he climbs the tree and finds the plane, just as he left it. Instead of playing, though, he wraps it up and pays it forward. I can already anticipate heated arguments about whether or not this is really a book for kids (nostalgia has that effect on us) but expect consensus with respect to the subtle art with which the story is told. The pages themselves are a succession of varied drab grays, fixing a somber tone that persists, even in the happier moments. And the wistful facial expressions, so simply realized, are somehow simultaneously round and piercing, all at once. We are left with a tender cycle of loss and reconciliation, but the melancholic tone establishes the losing, not the finding, as the predominant thematic emotion. We can go back and forth as much as we like about the need for a poignant picture book about the inevitability of loss. But taking the theme as a given, it’s hard to argue with its artistic execution. In 2013 Jon Klassen became the first illustrator to win both the Medal and an Honor since Leonard Weisgard did it in 1947. Can he be the first repeat winner since the Dillons did it in 1976 and 1977? With a book like The Dark in contention there’s no denying the possibility. A little boy fears the Dark, and so he confronts it. 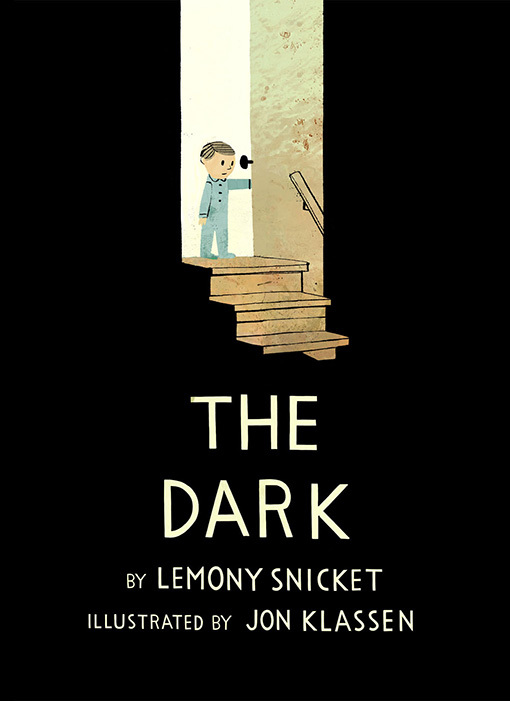 Snicket personifies the Dark in his almost elegaic text, and though our young hero Laszlo fears him, he is more a mystery than a real threat. Klassen sets the action in a huge, ramshackle house, full of the sort of staircases, closets, and corners that invite worry. But what’s especially striking about this book is not so much what Klassen build into the illustrations but what he leaves out. There is no furniture to speak of, save Laszlo’s bed, and a dresser in the basement with curious import. And there are no adults, either. Klassen has really tapped into the insecurities of childhood and manifests them on the page in stark resonance. It’s easy to celebrate an artist’s exquisite hand, fine line, sense of shape, manipulation of color, etc. It’s not so easy to recognize what the artist excludes. This book gives us the rare opportunity. A little boy is bullied, rather mercilessly. Friendless, he roams the city streets alone. He is adopted by a little blue bird, who becomes his trusted companion. The bullies persist, though, and in a particularly brutal attack, his little blue bird is struck by a stick and killed. Other birds arrive, and the boy and his bird are flown to the sky where the little blue bird is released. The Caldecott tends not to love purely digital work; somehow art is supposed to be made by hand. But it is only a matter of time before we recognize the computer as just another medium, no different from pens or brushes or woodblocks. And this could be the time. 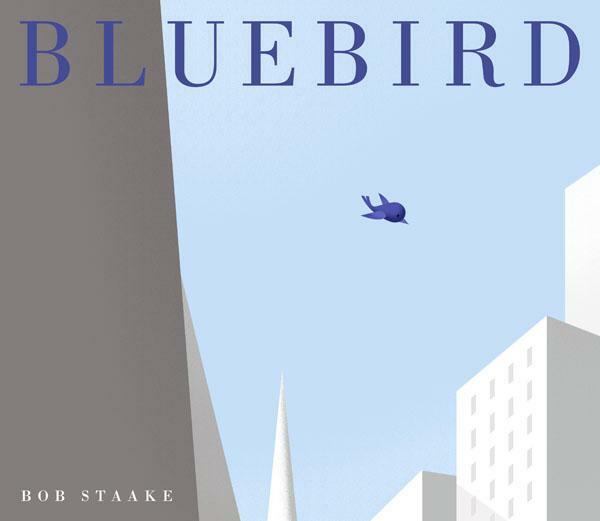 Staake, known more for a style of chaotic, somewhat irreverent ebullience, really reins things in here, working in a restrained palette with simple lines and straightforward composition. By getting out of the story’s way, he makes it all the more powerful. I have already read some musings about the inappropriateness of such a stark treatment of difficult subject matter. But to my eyes, by expressing the truth just as he sees it, Staake pays extraordinary respect to his young readers. And there’s a lot to say about the value of that kind of respect, at least when we’re talking about the most distinguished picture book for children. 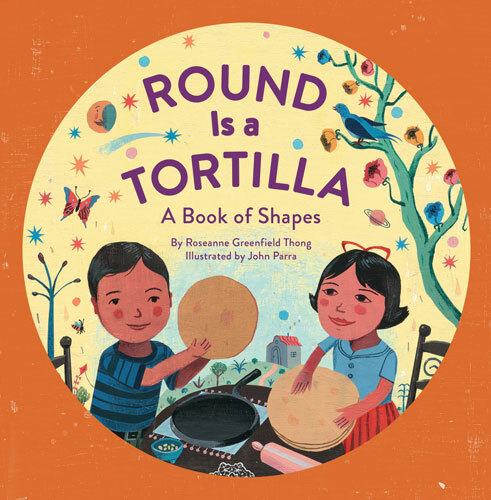 It may be early to begin handicapping the 2014 Caldecott Medal (the committee won’t meet for its first round of deliberations until the end of next month), but this is already proving to be a strong year in picture books. I have encountered some extraordinary titles that are, each in its own way, individually distinct. Let’s take a look, shall we? I’ll start with three today, and add some more in the coming days. 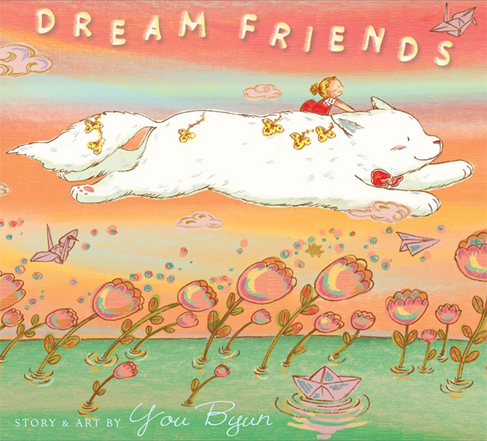 A shy little girl develops a deep friendship with a ginormous white cat, though their relationship exists only in her dreams. Those dreams become the foundation for a real life friendship, though, which soon blossoms into playgrounds-full of playpals and one flesh-and-blood BFF. The story is a sweet one, sometimes a little too sweet, but the digitally manipulated pen and ink illustrations are magnificent. Byun has a glorious sense of color, which she manages carefully to distinguish between the lands of life and dreaming. She engages her unfettered imagination in the depiction of the dream world, peppering the fantastical landscapes with flying origami cranes, pendulant upside-down clock towers, bedroom forests festooned with bonnets, and confectionary firework displays. The artist spent her childhood in Japan and Korea, and the recognizable element of kawaii to her drawings only adds to the charm. But beyond the beauty of the images, it is Byun’s ability to establish mood, communicate emotion, and define relationships with shape and color that really distinguish this elegant outing. 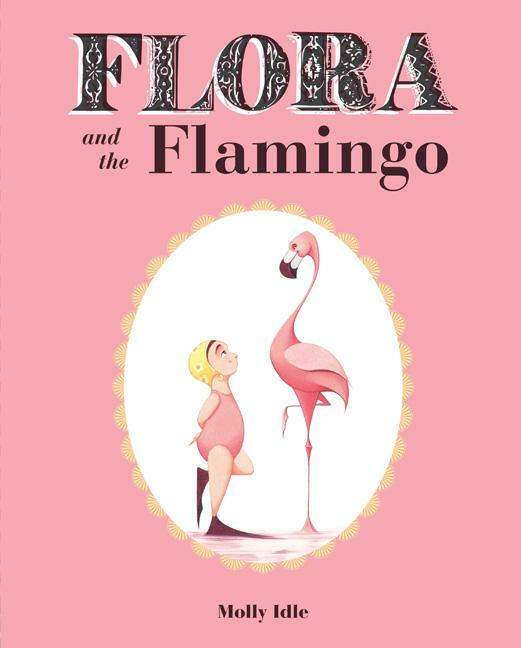 This interactive wordless book introduces Flora, dressed in a pink bathing costume and yellow swim cap, to a similarly pink flamingo, and the two engage in a sort of mirrored dance. The flamingo engages in a gorgeous display, extending legs and draping wings in elegant expression. Flora tries to follow along but her clumsy positions are not entirely successful. Seeing her despair, the flamingo offers assistance, and soon the two have achieved a perfect compromise. Idle is artful with the “toy-and-movable” component. Individual flaps expose individual poses, as Flora struggles to match the flamingo’s grace. When the two really join forces, a single flap perfectly expresses their combination, and their dance takes flight. A final, irresistible double-gatefold completes the lesson, as Flora takes over the instruction and the flamingo follows in her exuberant footsteps. I don’t know if the Caldecott Committee has ever recognized a book with an interactive element, but given its ingenious application here, it’s hard to imagine that they won’t be looking carefully. 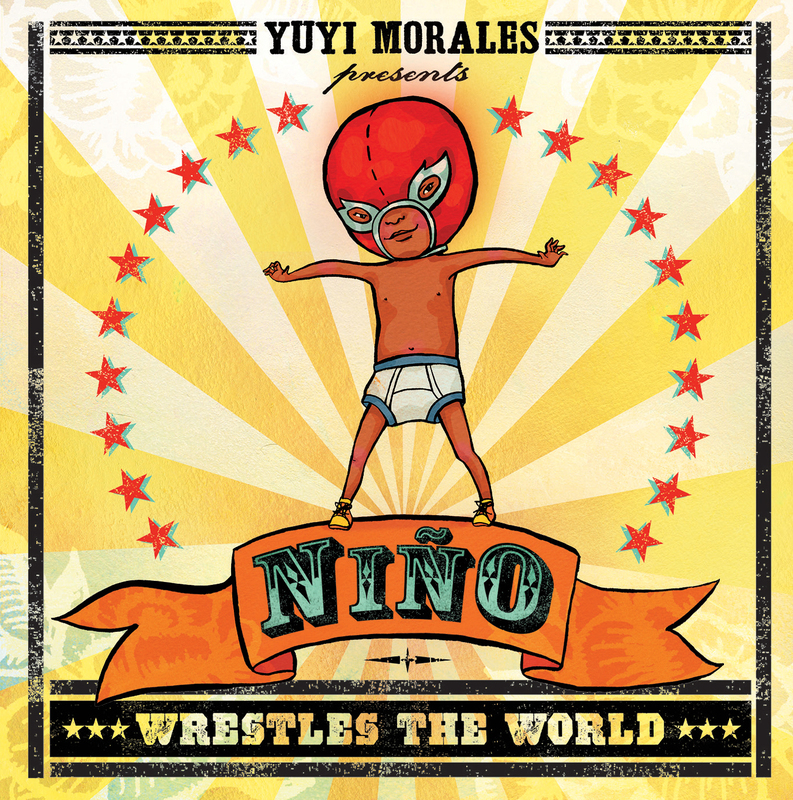 Niño is a pint-sized luchador who takes on all manner of pretend opponents in his living-room lucha libre ring. Each of his foes is imagined from pieces of Mexican culture, from Olmec Head to the Weeping Woman. Ultimately it is LAS HERMANITAS who prove to be the worthiest adversaries. But he clearly loves those little sisters, and the three become LOS TRES HERMANOS, establishing themselves as the team to beat. Morales works in digital collage, rearranging her handcrafted watercolors and woodblock images, inserting pieces of photography here and there. The typography is suitable exclamatory, and feels like part of Niño’s vivid imagination. As irresistible as the images are, to me the book’s standout element is the fact that it explores a quintessential childhood experience–imaginative play–in a way that is simultaneously culturally specific and universal. 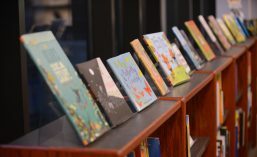 The Caldecott terms and criteria being what they are, the Committee will need to process that value in terms of its distinguished illustrations. I’d be happy to make the case.